Every now and then you need to kick your sound up a notch. 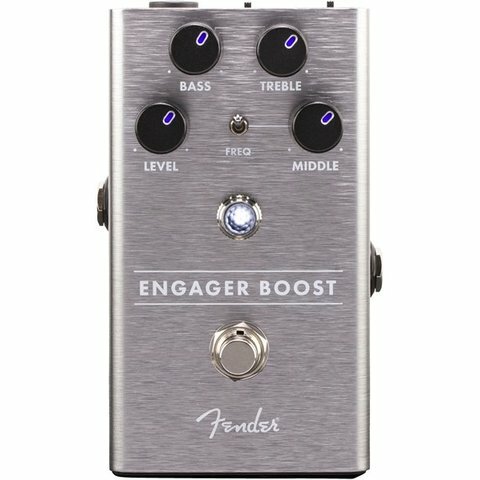 Whether you’re looking for more volume or fatter tone, the Engager Boost is the ideal clean boost pedal. The onboard 3-band EQ lets you shape your tone to cut through a mix while the Frequency switch lets you select the middle frequency range, ideal for shaping your tone precisely. The Engager Boost is also perfect for boosting your signal into a tube amplifier’s preamp, thickening your tone. 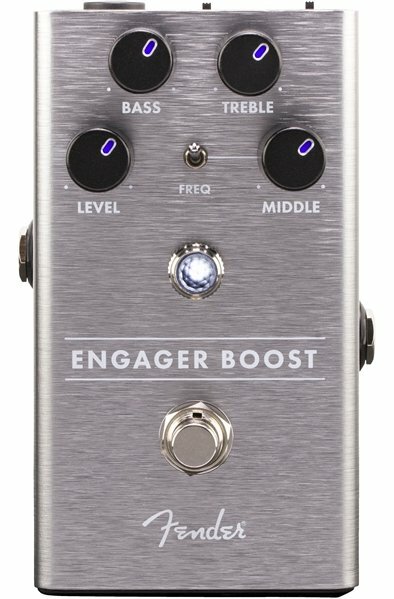 True and buffered bypass modes ensure this pedal plays nicely in any rig.